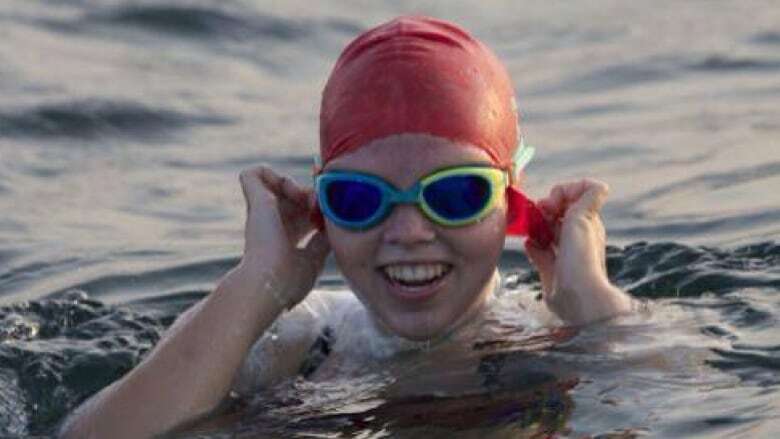 Annaleise Carr, 16, has ended her marathon fundraising swim across Lake Erie a little early, arriving at Long Point, Ont., instead of her planned destination of Port Dover. Team spokesman Aaron Gautreau says Annaleise Carr ended her swim at 4 a.m. ET Saturday. She had been planning to stay in the water and finish the swim around 11:30 a.m., but the marathon ended after she consulted with her swim coach and other officials. Gautreau said the swim was still a great success, with Carr raising around $130,000 for Camp Trillium, a childhood cancer support centre. The native of Walsh, Ont., had been swimming six to eight hours a day to prepare for what she expected would be a gruelling 30-hour swim. Two years ago, Carr swam across Lake Ontario at the age of 14, becoming the youngest person known to have ever accomplished the feat. Carr's 2012 swim raised $115,000 for Camp Trillium.